The Lockheed T2V SeaStar, later called the T-1 SeaStar, was a turbojet trainer aircraft for the U.S. Navy that entered service in May 1957. 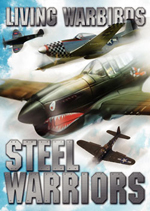 It was developed from the Lockheed T-33 and powered by one Allison J33 engine. 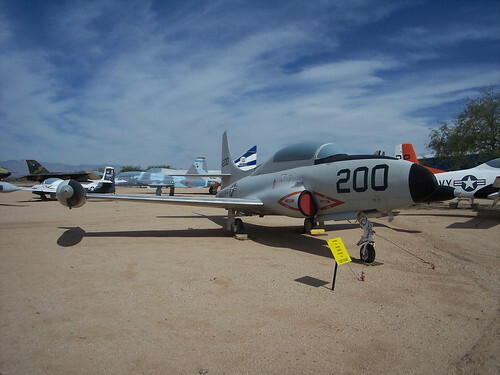 Starting in 1949, the US Navy used the Lockheed T-33 for land-based jet aircraft training. 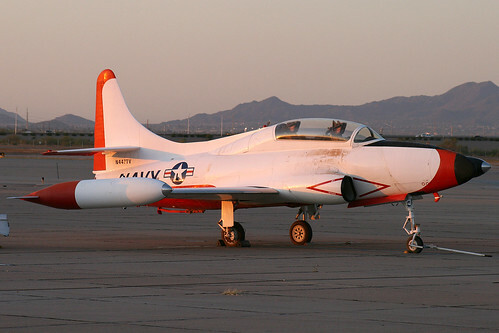 The T-33 was a derivative of the P-80 fighter and was first named TO-2, then TV-2 in Navy service. However, the TV-2 was not suitable for operation from aircraft carriers. 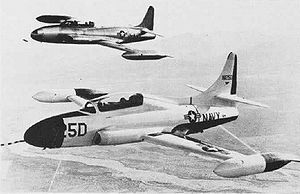 The persisting need for a carrier-compatible trainer led to a further, more advanced design development of the P-80/T-33 family, which came into being with the Lockheed designation L-245 and US Navy designation T2V. Compared to the TV-2, the T2V was almost totally re-engineered for carrier landings and at-sea operations with a redesigned tail, naval standard avionics, a strengthened undercarriage (with catapult fittings) and lower fuselage (with a retractable arrestor hook), and power-operated leading-edge flaps (to increase lift at low speeds) to allow carrier launches and recoveries, and an elevated rear (instructor's) seat for improved instructor vision, among other changes. Unlike other P-80 derivatives, the T2V could withstand the shock of landing on a pitching carrier deck and had a much higher ability to withstand sea water-related aircraft wear from higher humidity and salt exposure. The only version of the T2V was initially designated T2V-1 when it entered service, but was redesignated T-1A SeaStar under the 1962 United States Tri-Service aircraft designation system, a name under which it would spend the majority of its career. 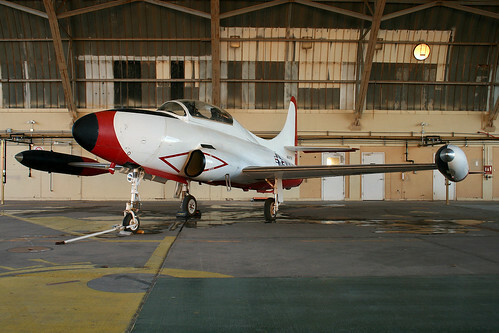 The T-1A was replaced by the T-2 Buckeye but remained in service into the 1970s. - Ginter, Steve. Lockheed T2V-1/T-1A Seastar. 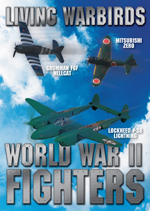 Naval Fighters #42. Simi Valley, California: Ginter Books, 1999. 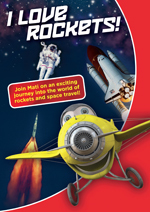 ISBN 978-0-942612-424. - Green, William, with Gerald Pollinger. The Aircraft of the World. New York; Doubleday & Co., 1965. P. 255. - Green, William, with Dennis Punett. 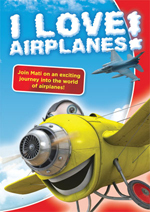 MacDonald World Air Power Guide. London; Purnell & Sons, Ltd. (reprinted by Doubleday), 1963. P. 28.